We live a simple life that alternates moments of prayer, work, fraternal life, study and formation and mission. 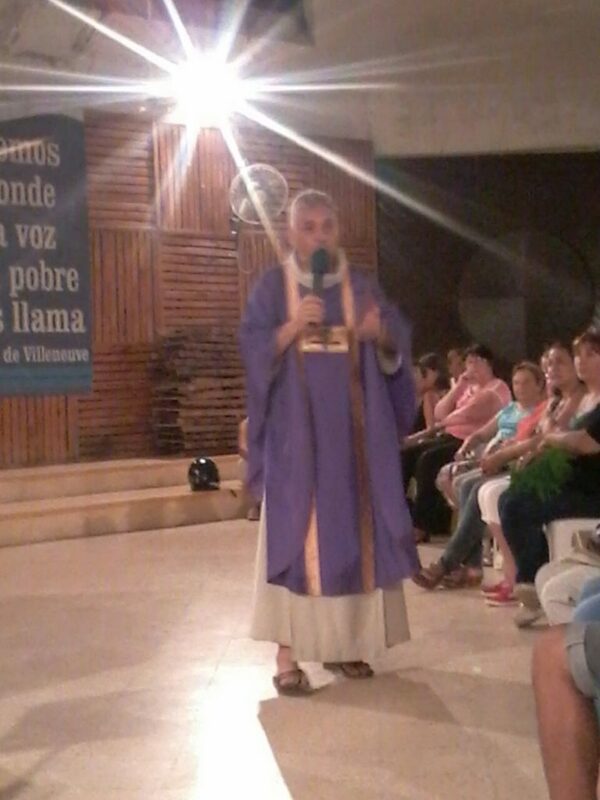 1-union with God 2-fraternal life 3-mission. It is the first of the columns in importance. “The brother of merciful Jesus must pray always and everywhere” (cost3.8) “nothing can replace our life of prayer” which “must be guarded by an indispensable climate of silence” (cost3.9). For this reason we consecrate every day some strong times of community and personal prayer. Among the community prayers carried out every day are the liturgical prayer of the Divine Office (Office of Meditation and Lodi readings, Ora ora, Vespri e Compieta) the Holy Rosary, the hour of divine Mercy with the meditation of the Passion of Christ and the chaplet of divine mercy, Eucharistic adoration and Holy Mass in which we “celebrate, proclaim and offer the mercy of God fully revealed in the redemptive incarnation of Jesus Christ” (cost 3:10). 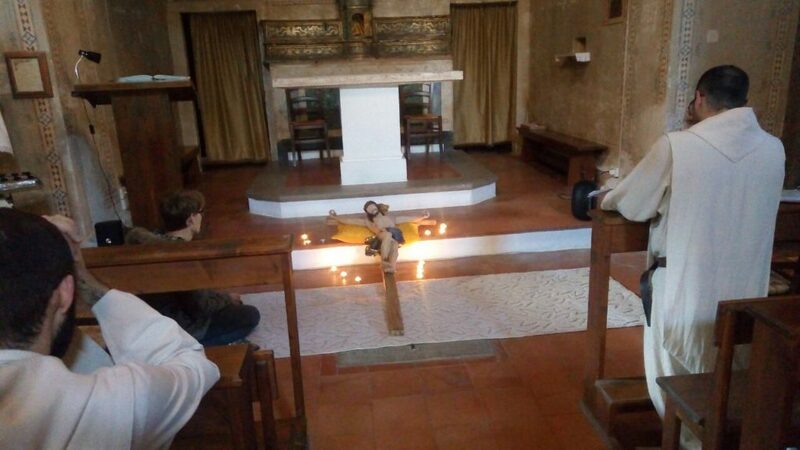 On Fridays, a penitential day of silence and fasting, let us also add the Way of the Cross to meditate more intensely on the Passion of Our Lord and on the lectio divina communitato. 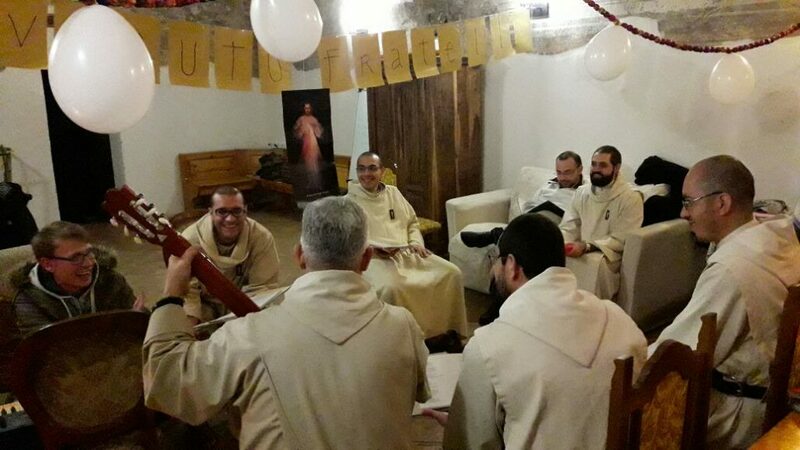 Besides these community moments, we cherish moments of solitude and silence for personal prayer “in imitation of Jesus who climbed the mountain alone and went to solitary places to pray, we also reserve time to be alone with the Lord (cost3.28). “The new commandment of mutual love bases our fraternal life” (cost 4, 1). Fraternal life is a hallmark of our community in which we seek to create and foster a family and trustful climate. Every day there is a time dedicated specifically to this purpose. The mercy experienced and received intimately in prayer is then poured into fraternal life even before the mission. Once we are able to use mercy with the neighboring brother, we can easily exercise it and live it fruitfully in the mission. Fraternal charity manifests itself in particular in mutual forgiveness, and this is why every week we practice the request for community forgiveness. This fraternal charity is supernatural originates in God and ends in him for this reason. The Eucharist is the source and summit of our fraternal life and the sacrament of penance is its rebirth and medicine. The mission does not arise from the need to feel busy in something or useful but springs from the experience of God’s Mercy lived in the community and which then spontaneously pours out onto all those whom the Lord calls us to serve. The exercise of mercy embraces three areas: prayer, words and deeds. “Our ministerial life extends essentially in three dimensions: a) contemplative: of intercession to obtain mercy b) prophetic: announcement of divine mercy c) charitable: works of mercy. “Divine mercy is His will to do good to all those who suffer for any kind of lack and from themselves are unable to fill” (Blessed Father Michael Sopoćko) for this reason we address in particular to the poor and the needy and any material and moral misery can become the object of our mission. However, the greatest misery is the moral poverty. The sinner in need of forgiveness is the one closest to his heart. The administration of the sacrament of penance is one of the hubs of our mission. Another category of people to whom we feel particularly called to live our mission are the children in difficulty, especially the orphans in need of fatherhood.